Poll: Should dogs be allowed in pubs and restaurants? Food officials are insisting that such businesses are in breach of legislation. EARLIER THIS YEAR, Dublin’s very first dog café opened its doors in the capital – and others have been following suit. 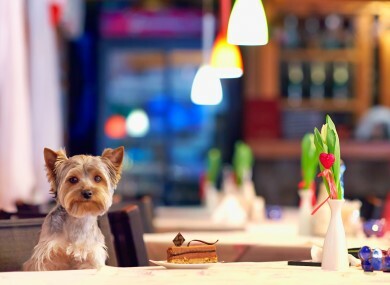 However, dog-friendly cafes and pubs are operating in a legal grey area, with food officials insisting that such businesses are in breach of legislation. So today we’re asking, do you think dogs should be allowed in pubs and restaurants? Email “Poll: Should dogs be allowed in pubs and restaurants? ”. Feedback on “Poll: Should dogs be allowed in pubs and restaurants? ”.